Last week, I attended an event’s that becoming one of the favorite things on my calendar – Google Hash Code. Google comes up with an interesting real-world problem and gives teams of engineers around the world up to 4 hours within which to code solutions to it. 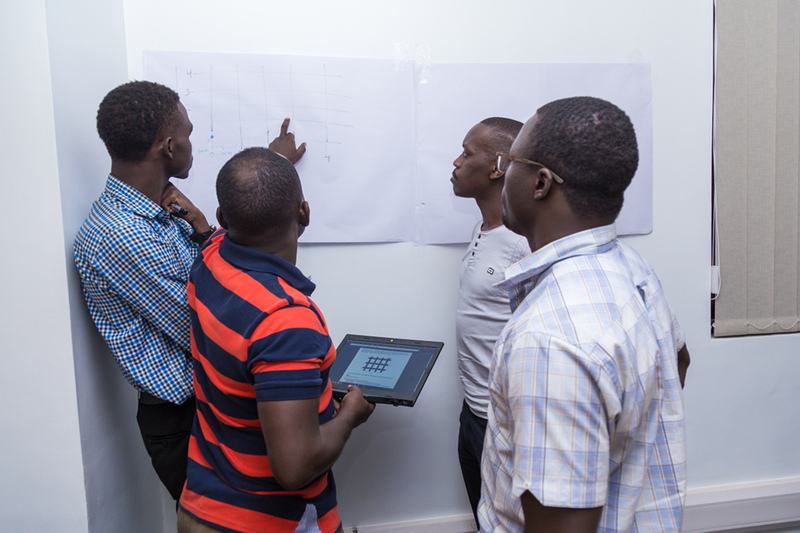 This year, I didn’t get Kanzu Code’s core team from last year together in time so I joined a former colleague’s team. We’ve worked together before in MTN Uganda on some amazing things so it felt like the good old days putting our heads together to battle yet another real world problem. 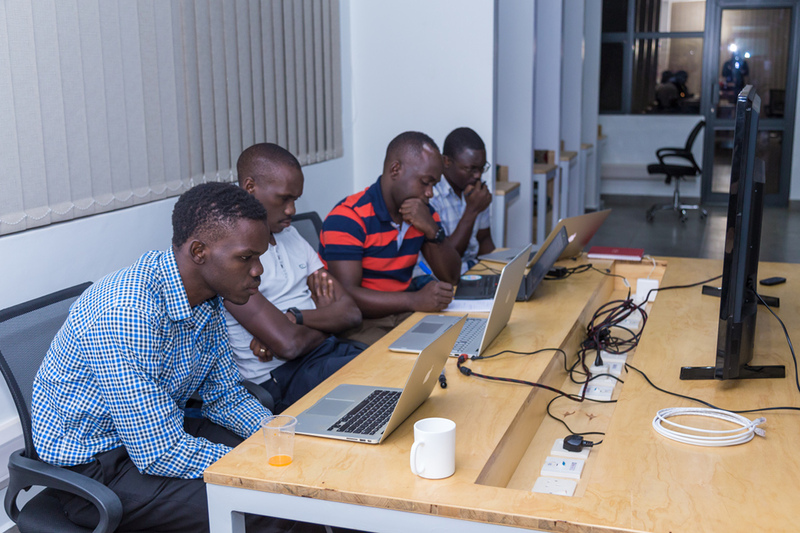 We were graciously hosted by the awesome Andela Uganda. We didn’t work out of my living room this time hehe. Over 8,000 teams participated. The competition was intense but lots of fun. 4 hours fly past so fast! Here’s what we submitted: Hash Code 2018. Points are awarded on how good your algorithm is. We will refine our algorithm and add an explanation to make it easier to follow; the link currently shows what those 4 intense hours produced so it is still a bit raw. The team trying out multi-threading…. Watch the opening ceremony intently not because you’ll get tips but because it is an intense competition. Do everything with intensity. If you break for a snack, eat with intensity too. It is very key to submit a working algorithm early. It might take a bit of debugging to get there so do it early. There’s also something that seeing those initial scores does for your morale so get something in early. Towards the end, you should all be submitting solutions. Scores are given for the best solution on your team so create separate branches, discuss, optimize, make changes, build and submit. Repeat. During the announcements at the end of the competition, Google announces, among other things, the country that scored the most points. I hope they’ll also start releasing countries with the most points per team otherwise countries with a huge number of participating teams will always be the ones being announced. Our performance leaped by bounds from our first Google Hash Code attempt last year. Hopefully, you’ll be encouraged to sign-up, practice and show up. It is truly a phenomenal experience. 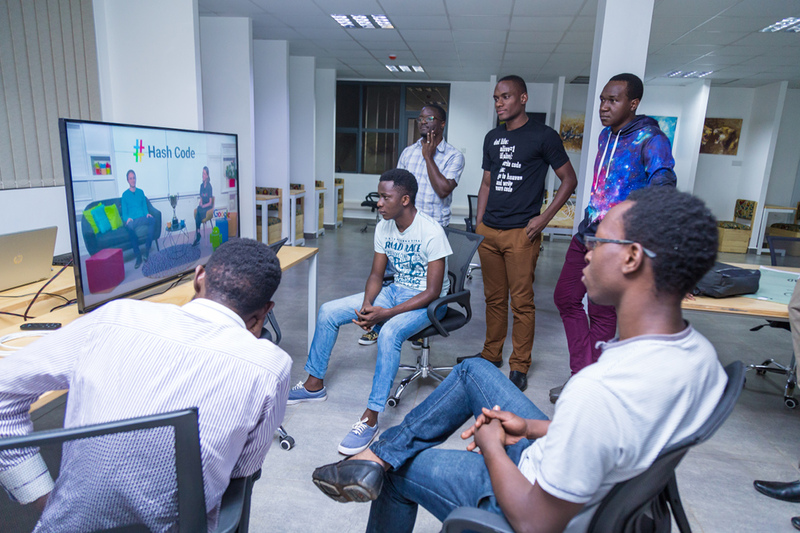 Peter Kakoma is the lead developer here at Kanzu Code. He is the reigning World thumb-wrestling champion who loves to write clean code and silly things in equal measure.